So What’s Cool And Unusual To Visit Around Here? These days, folks on the lookout for something out of the ordinary sometimes turn to a unique type of atlas. Unlike the usual road maps found at gas stations and the magazine section of your local store, this type of guide shares information about different and off-the-beaten-track places and how to find them. It’s called the Atlas Obscura, and it includes both an online presence as well as a new line of travel guides available at your favorite bookstore. What kind of attractions does it feature? According to its website, “in an age where everything seems to have been explored and there is nothing new to be found, we celebrate a different way of looking at the world. If you’re searching for miniature cities, glass flowers, books bound in human skin, gigantic flaming holes in the ground, bone churches, balancing pagodas, or homes built entirely out of paper, the Atlas Obscura is where you’ll find them. 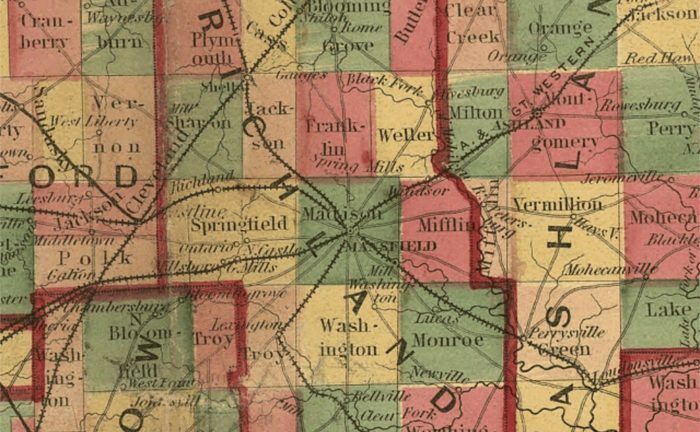 Would you be surprised to learn that Mansfield has four entries in the Atlas? Before you read any further, consider for a moment what local tourism venues you would include that fit the above definitions. Each listing is presented with a short narrative, photos, etc.. Visitors to the site can register that they have visited a location or that they would like to in the future. From the numbers posted, OSR appears to be the most popular extraordinary attraction in the area. All 12,500 sites on the map can be found here.